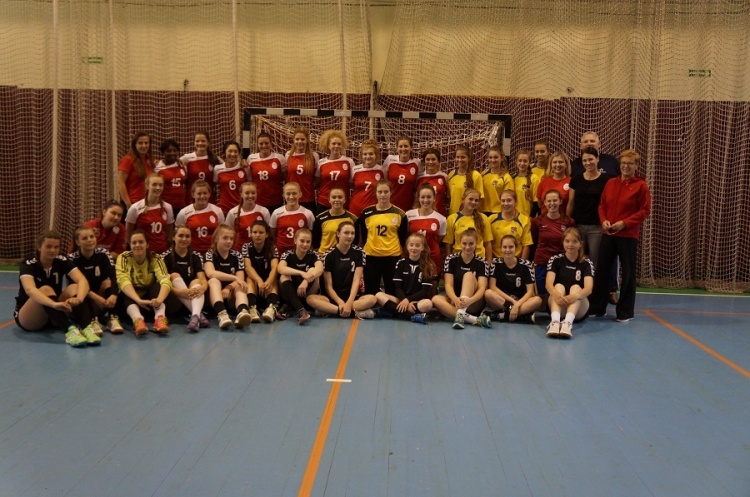 England girl’s under-19 team gained valuable experience as they won a mini-tournament in Poland organised by coaches Roza Jozefowicz and Lena Tyter. Their first match against experienced Polish under-17 side ZSP 4 WEJHEROWO finished in a narrow 13-11 defeat. Despite the result it was an impressive performance by the England girls. The next match of the tournament saw ZSP lose to UKS Conrad by two goals in another close encounter. That result meant England could still possibly win the tournament in their last match against UKS Conrad. The match started well for England, who took a 7-1 lead with goals for Lucy Anne Ready (2), Lydia Edgar (2), Athalia Ibanga, Brooke Partington and Jemaine Knott. Megan Johnson also shone in goal with a string of fine saves. Conrad steadied the ship and at half time England led 16-11. The strength-and-depth of the England side was shown in the second period with everyone getting court time. Charlotte Worsely scored five goals to keep the momentum as England recorded a 28-25 victory. Coach Roza Jozefowicz said: "Our camp in Poland was a success. We fulfilled our objectives. The team trained hard and gave their best in trainings and in the matches played, which resulted in really good scores. “We were able to put the girls in different positions on court and that resulted in some positive surprises. We were able to see who our first team would be. “The goalkeepers’ attitude was great and they gave their best. Goalkeeper Megan Johnson played very well in the matches and her presence in goal had huge impact on the win. The remaining two goalkeepers, Sara Trojnacka and Becky Tichford played and trained very well, too. “The camp was all about developing individual skills and team work. I can say we've achieved that. “This squad is very good, has huge potential and is eager to play in further tournaments. We are all looking forward to it. “I think female handball deserves more recognition, not least for the passion, skills and commitment our players and coaches have. “I’d like to thank all the clubs that look after the players on the regular basis."